Did you know that 50% of the time adults spend consuming digital media is done via smartphones? Or that the majority of Americans will use a mobile phone for search next year, and phones will overtake desktop and laptop computer use for search within two years? The proliferation of smartphones and tablets across all demographics, as well as the ever-increasing reach of wireless connectivity, means mobile is here to stay. Given that, it’s critical you have strong mobile strategy to support your digital business. In our recent webinar, “How to Develop Your Mobile Strategy,” Mobomo CEO Brian Lacey and Mobomo Project Manager Malena Lopez gave us the inside scoop when it comes to navigating the relatively new mobile marketing landscape. What’s a mobile website? A mobile website is created for the smaller screen sizes and touch features of mobile devices, smartphones, and tablets, versus the larger screens of traditional computers. Mobile sites are accessed via mobile devices the way one would any website, by using Safari on iOS or Chrome on Android. Mobile websites provide a more engaging experience for mobile users. They can contain each element of their equivalent desktop versions—from design, user purchase capabilities, etc.—but the mobile-friendly layout improves function and readability to adapt to various screen sizes and “smart” touch-interactive features. Direction to a mobile website is automatic when accessed from a smartphone or tablet. This means that the user enters the URL or clicks on the site link and the site will recognize the mobile device and take the user to its mobile version (if it has one). A mobile app is a smartphone or tablet application that the user downloads on their mobile device. Whereas direction toward a mobile website does not require set up by the user, a mobile app must first be downloaded on the smartphone or tablet before the user can access it. Cost to the user also varies with a mobile app. Some mobile apps are free, some must be purchased before use, and others have optional in-app purchases. Once the app is downloaded, the app appears on the user’s mobile device, which can then be opened with one touch. The most significant benefit of a mobile website is reach. A mobile website means your audience can find you at any time, from anywhere, without the barrier of having to download an app. 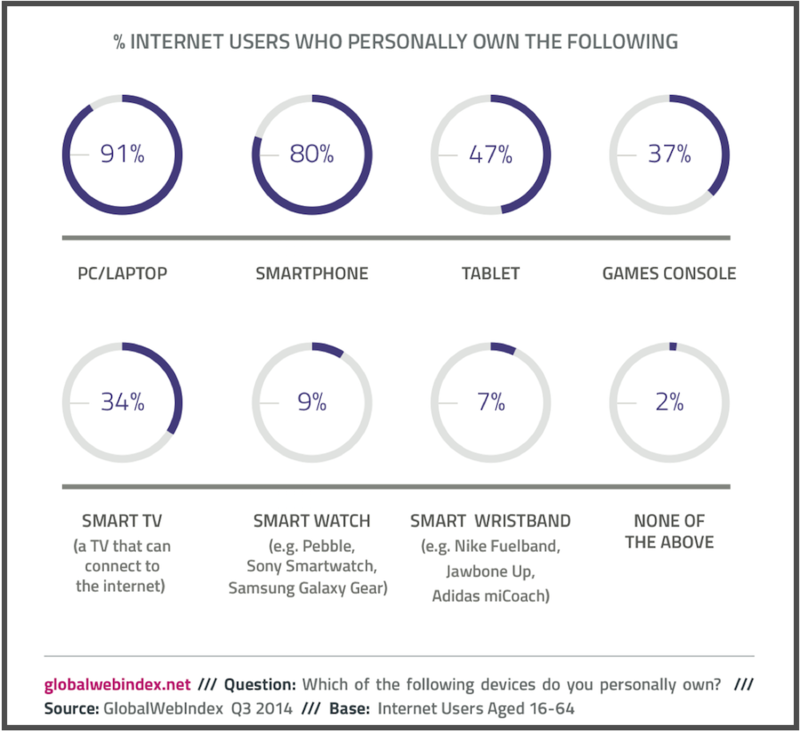 Did you know that 80% of Internet users own a smartphone and 47% own a tablet? You don’t want to miss that segment of the population. As of April 2015, Google Search started using mobile-friendliness as a ranking signal, which means that failure to update for mobile can now ding your ratings. Make sure your website is updated and ready for these new search rankings. While a mobile website has distinct advantages, there are certain aspects of a mobile app which are also appealing to users and publishers alike. The functionality of a mobile app is similar to a mobile website, but allows the site owner more control over targeted interactions with their audience. Moreover, an app can be accessed with one touch of the button, versus the more-involved process of searching via web browser. Targeted marketing and customer ease are other benefits of an app over a mobile site. For example, an app can allow businesses to send geo-targeted push notifications. Both brick-and-mortar businesses and online vendors can also use apps to share customer loyalty programs or special “app only” incentives. Knowing your Audience: Is an App Right for Them? It’s true that an app can help you reach a huge segment of your mobile audience, but is it worth the investment for your mobile strategy? Developing and launching an app can be costly – some reports say $270,000 per app! – so you want to make sure you’re performing due diligence before you start the process. Before taking the plunge on app creation and development, it’s crucial that you understand the needs, wants, and online patterns of your audience — will they use your app? In order for this to happen, your audience must be intrigued by what your app offers. Research is crucial before app development, but this research must also continue once the app is deployed. Many apps are downloaded and then never used. The number one problem in the mobile app world is low user retention rates. For most apps, 90% of the people who download your app are gone within 6 months. Another surprising fact is that most smartphone users in the US download zero apps per month. Apps seem to be most used for social media, and represent 50% of time spent on these platforms. Moreover, the majority of app time is spent on the user’s single most used app, which is often Facebook. 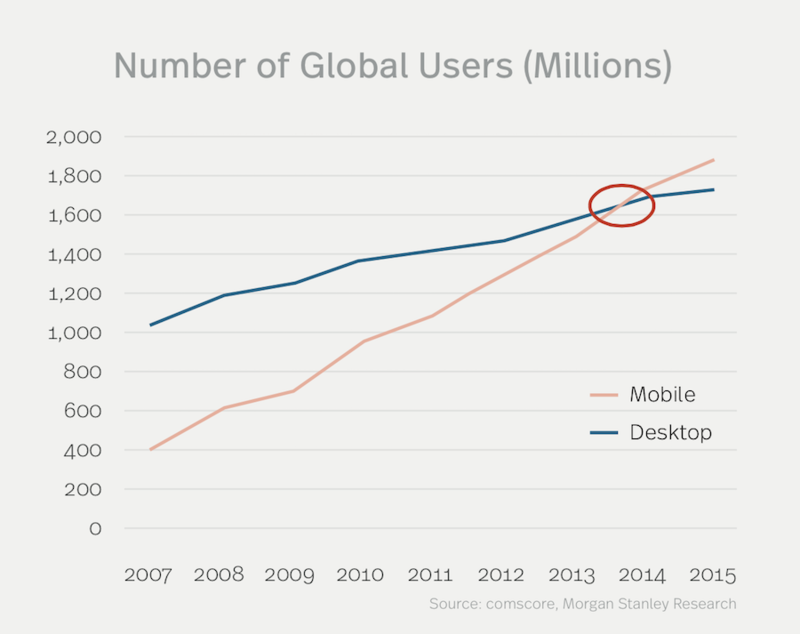 What these numbers don’t reflect is that a mobile app does provide a rich experience for your users. There’s no rule that says you have to opt for one over the other. In fact, many businesses deploy on both platforms to increase their reach. Pinterest is an excellent example. Their mobile site allows app-free content consumption, where their app allows personalized interaction with each user. Initial planning: Think broadly. Research your audience and their needs, wants, and goals. Develop broad concepts to adapt to their mobile needs. Content Development: This requires a more detailed approach to the specifics of what you want your app or mobile site to contain. In House Development or Engage a Dev shop: What are the costs involved? What are your goals? What are the pros and cons of each option? Launch: Deploy your app and use analytics to track and monitor performance. Consider a soft launch to explore how your audience responds. Post launch tracking: Analytics are key! Measure soon, and often. Stay consistent in monitoring. Feedback: How is your audience responding? Are there glitches or issues with user access? Launching your mobile strategy requires you to look closely at your goals and what you hope to achieve with the development and launch of this product. You’ll need to define your business and its goals: Is it a product, service, or something else? Do you hope to simply broaden your audience with your app? Or do you want to build a completely new mobile-marketing function to boost sales? The answers to these questions will inform your next steps. Now that you have built a plan and defined your goals, the next step in your mobile strategy is the practical implementation of creation and deployment. There are two ways you can go about this: You can use an in-house app developer or outsource to a development shop. The benefit of an in-house app development team is ultimate control over the process. The downside is that you may not have the available resources to create your vision. If your app is particularly complex or will require ongoing maintenance, then you may need to outsource. You may need to engage a dev shop if your company doesn’t have the necessary tech resources to build an app in-house, or if your tech needs are especially complex. Look at reviews and ask to see samples of their prior work before committing. Does the shop offer strategic planning? Does the shop offer design? What kind of software development is used? Can they provide specific details about their work? What is the scope of their work? What is their timeline from inception to final delivery? Will they be involved in ongoing maintenance? What are all costs involved? Are there any additional services they offer? You’ll also need to assess your budget in order to determine whether your development needs can be met in-house or through outsourcing. Mobile is the future of business, so make sure you’re on board with a mobile strategy. A mobile website, an app, or both, will ensure that your audience can find you anytime, anywhere.